On Friday, September 21st at 6:30 p.m., Thomas Rain Crowe will return to City Lights Bookstore to present his book Starting From San Francisco. In his book, Crowe explores the dimensions of a flourishing literary excitement that deserves to be better known: The Baby Beat’s movement. This movement was led by a whole generation of young poets who were nourished by their Beat predecessors. Starting From San Francisco provides many illuminating surprises for those who thought they already knew everything about what Beat was. 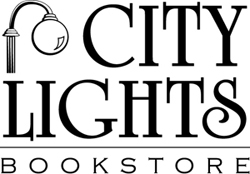 To reserve copies of Starting From San Francisco, please call City Lights Bookstore in Sylva, NC at 828-586-9499.